"Non-stop" begonias produce masses of perfectly formed, medium-sized flowers. 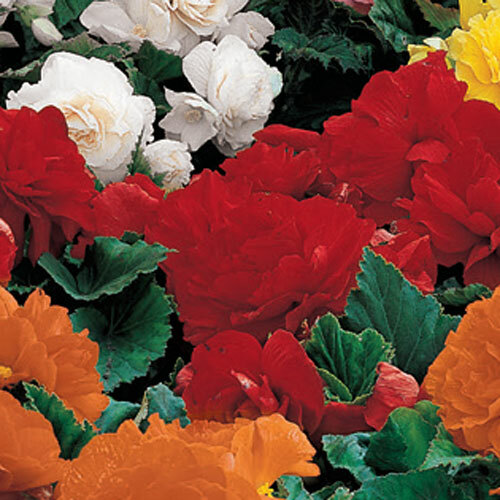 It has all the strength and vigor of regular begonias, but is actually the first strain to produce truly compact, double-flowering blooms and a real dwarf growing habit, making them wind resistant. They start flowering very early...flower buds actually appear with the first leaves. With a long continuous blooming period (June to fall) and low growth habit, they are excellent for low borders and window boxes. Also used in groups of three at focal points or in patio tubs.